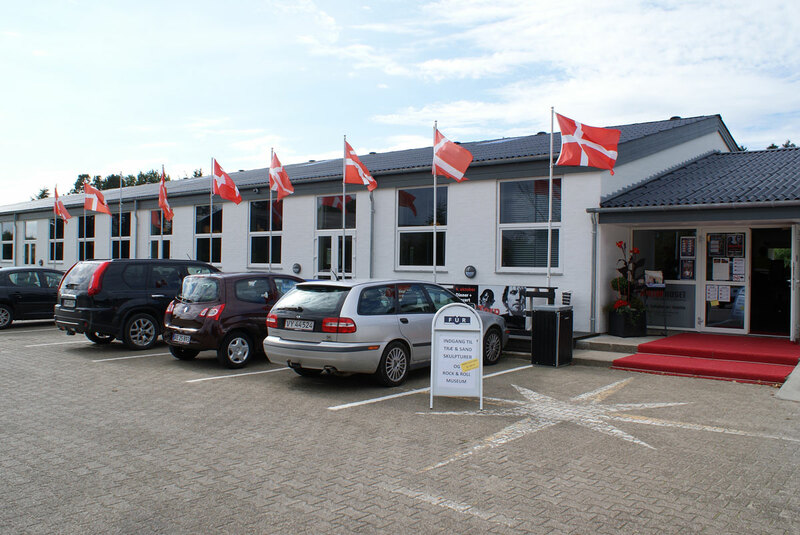 Since the summer of 2013, the Danish town of Blokhus has had a new cultural centre at its disposition. 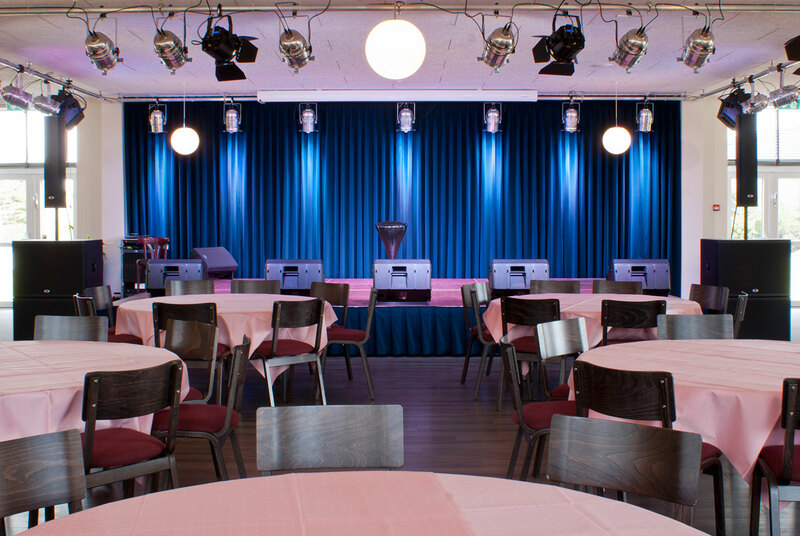 Alongside Denmark’s only rock ‘n’ roll museum, the “Kulturhuset”, as it is known, boasts a community hall that seats 400. 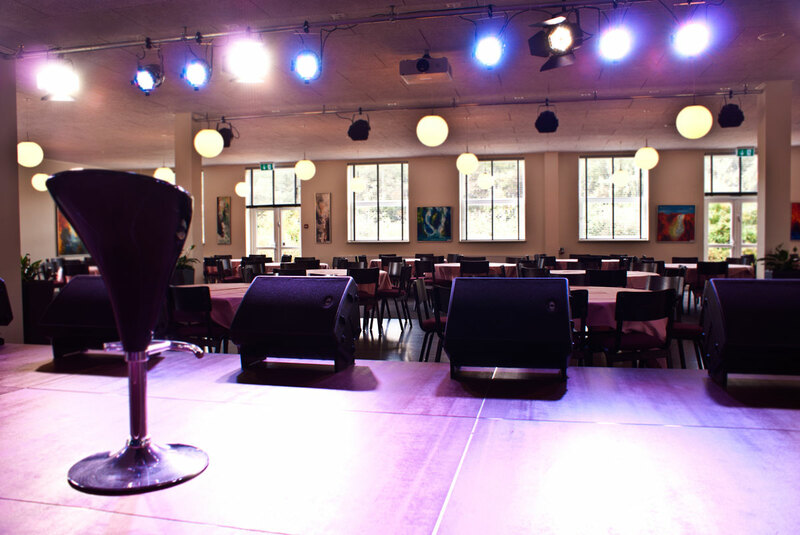 This is designed for a variety of uses: private parties and meetings are held in it as well as concerts and cabaret evenings. 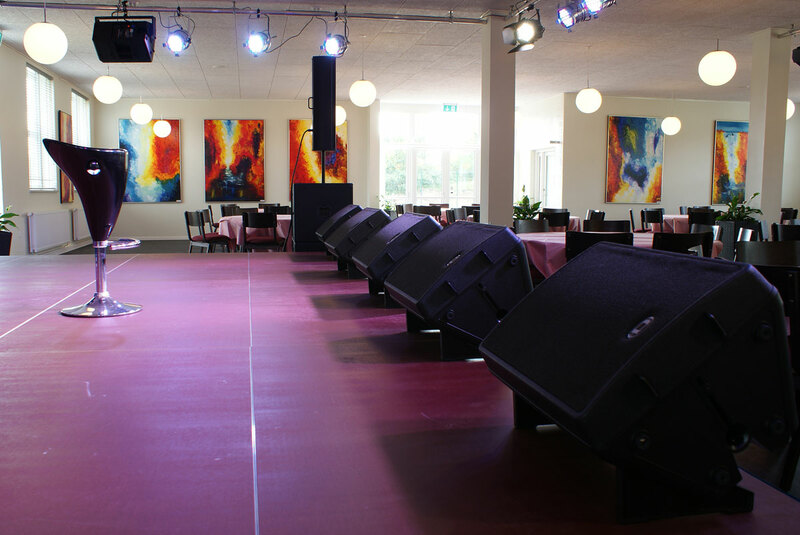 The planning and installation of the sound system was entrusted to the Aalborg-based company Audiosupport. It had been stipulated that the sound system to be installed should be capable of satisfying a variety of requirements: these included the greatest possible degree of flexibility, homogeneous coverage, plenty of headroom and flawless intelligibility; above all, however, the planners wanted a system that was elegant and unobtrusive. After an exhaustive series of comparisons, a clear winner emerged: DYNACORD’s Vertical Array System. The key components of the installation are two DYNACORD TS 400 loudspeakers mounted on stands to the left and right of the stage. 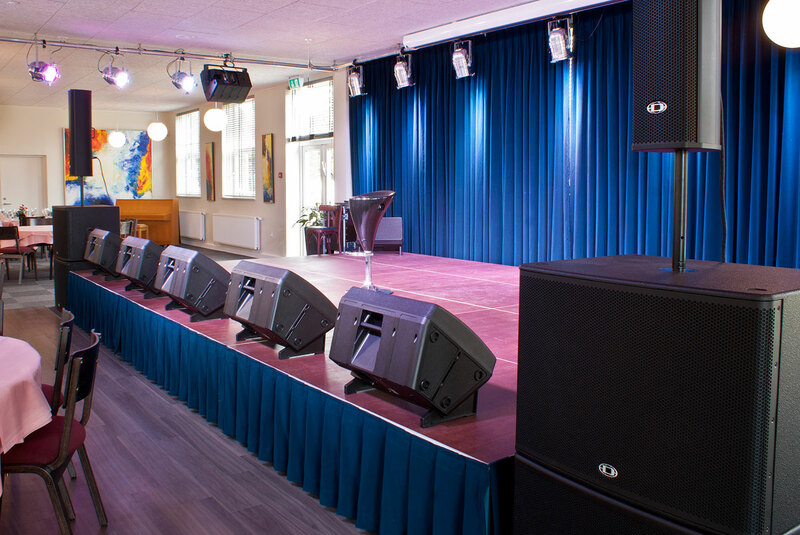 “With their balanced radiation pattern throughout the entire frequency range, TS 400 cabinets are outstandingly well-suited to locations with difficult acoustics,” explains Audiosupport MD Morten Larsen. 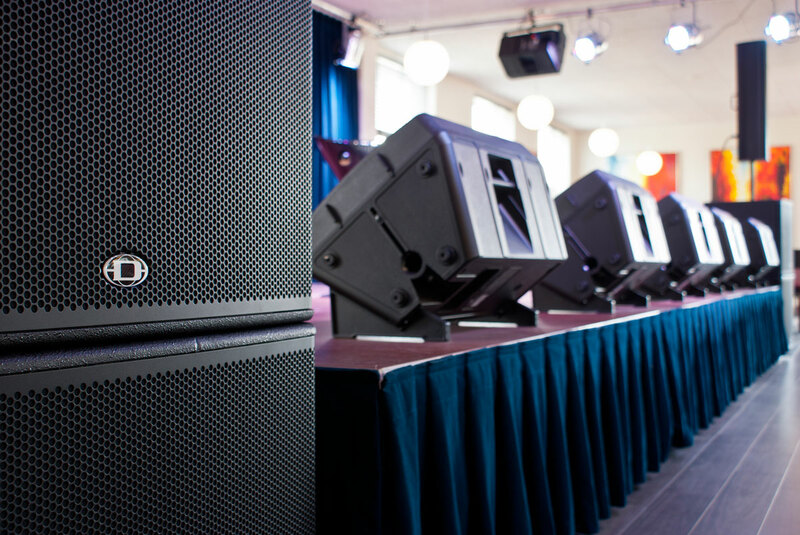 “They are also remarkable for the high sound pressure levels they generate, the precise control they offer over the vertical dispersion angle and their outstanding intelligibility.” To guarantee sufficient punch in the low frequency range, particularly during concerts, two 18” DYNACORD PSD 218 powered subwoofers und two PSE 218 passive extension subs also form part of the installation in the new cultural centre. “These give the Vertical Array System an enormously solid foundation in the bass for which no additional amplification provision is required. We can also run the system without an ancillary controller, as with the PSDs the requisite loudspeaker presets and controller functions are already on board,” he adds. Foldback to the performers on stage comes courtesy of six 12” DYNACORD D12 monitors driven by two DYNACORD SL1800 amplifiers. “SL1800 power amplifiers are notable for their very high output as well as their great efficiency. This makes them ideal for this type of installation,” says Larsen. Two active D12A cabinets supply the sidefill. Rounding off the installation is a DYNACORD CMS 2200 mixer.